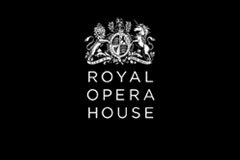 We invite you to join the world’s greatest arts philanthropists as a Patron, entitling you to enjoy exclusive access to all performances and special events in the spectacular surroundings of the Royal Opera House. Becoming a Patron is the ultimate way to enjoy close involvement with the Royal Opera House. You and your guests will be able to see all our opera and ballet productions throughout the Season from the very best seats in the theatre. Our corporate membership scheme is designed to offer you the best whilst entertaining you, your clients and employees. As Patrons you can expect excellence on stage, in meeting your entertainment and hospitality needs, and in bringing you together with a group of high-level corporate peers.